– ONE-TIME request for information about stolen/sanctioned funds, 2 days gap. Investigation of unauthorized withdrawal of BTC/ BCH/ ETH/ LTC (chose only one cryptocurrency) from your wallet within 1 day. – SMS-notification about the movement of personal funds of the user’s wallet (deposits/withdrawals/transactions). 1 week to 1 year gap investigations can be performed upon a request. – investigation of unauthorized withdrawal of one of 4 cryptocurrencies (BTC/BCH/ETH/ LTC) from your wallet within 1 day. We offer a comprehensive investment loan scheme with a zero percent rate for your projects. We can issue coins for your projects to simplify the search for investors and provide offers to investors to buy the coins. We will give you a comfortable discount if you help us trade your coins. 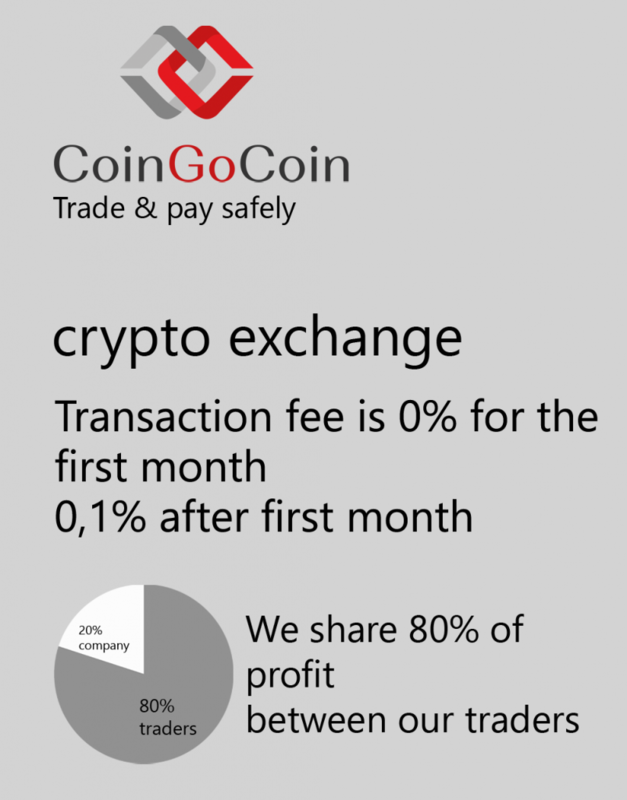 You will see online statistics on trading of your coins on CoinGoCoin exchange and we will give you these statistics to make it easier for you to offer the coins to other exchanges. We will help you to draft documents for other exchanges and advise specialists of other exchanges on how they can use our online statistics. We will also help you to connect our altcoin gateway to your website free of charge so that it is easier for you to conduct e-commerce which includes using your coins. 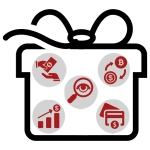 We can offer you a wallet investigation (wallet summary statement for a certain period) into the movement of coins in case they are stolen to protect your wallets and your coins from unauthorized access.